Article 13 is a copyright by European Copyright Institution to YouTube directly. We all know before YouTube is giving us Copyright. It is in the form of community guidelines or direct copyright strike. Moreover, what had happened is European Copyright Institution had taken a strict action against You Tube. The strict action is taken to protect the Copyright of their Brands. In whole Europe by implementation of Article thirteen is imposed. Not only but also this it is levied on other Asian countries too. 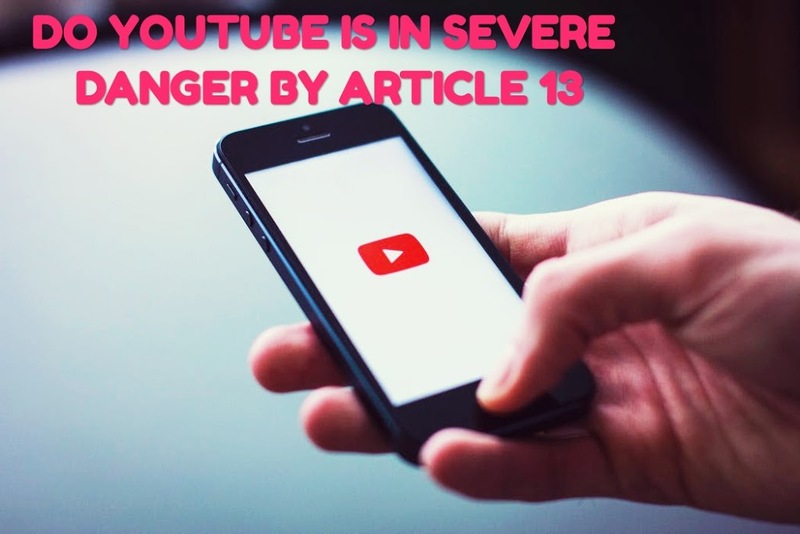 Article 13 is a direct threat to YouTube platform and the content creators depend on YouTube. The effects of this Copyright is that many content creators with some very big names are under direct radar of it. Moreover, their YouTube Channel Can get closed any moment after the law of Article 13 is completely came in to action . Also, YouTube had send mail to all the You Tubers regarding it and told to support YouTube against the law. Wants To Become Successful You Tuber? Which Channels Are Under Threats? Previous How to Do Live Stream of Games on YouTube from Android Mobile Phone?